A collection of posts and images which describe the work we do within the community. 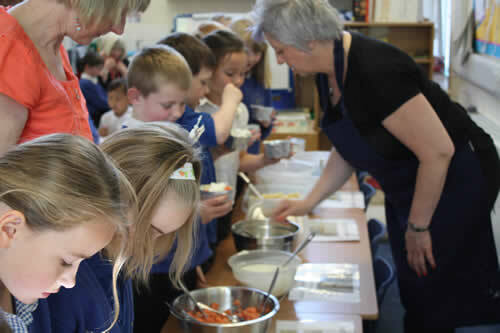 Jamie’s Food Revolution 2016 happens this May and we’re going into local schools to do some cooking with the pupils and have a few fish quizzes. 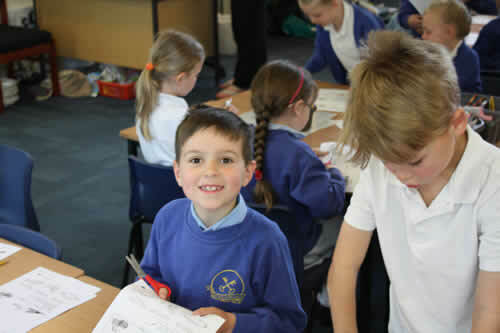 We were at a primary school in Crowle recently, working with a very large group of children aged between 3 and 7. First we did our usual presentation to the school, which is designed to teach the children about the importance of a healthy diet and how introducing seafood can benefit the way our brain and body functions. Then we did something a bit different, which was to bring some whole fish in for them to touch and feel. We gave the children an opportunity to see how the fish move and the different parts of the fish and how they are all different. 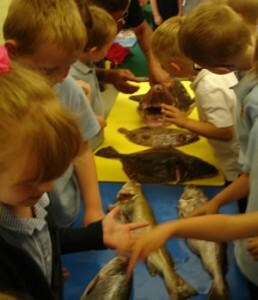 The children responded really well and were fascinated by the fish, particularly the monkfish! We took some fish for them taste! A nice mixture of smoked salmon and smoked mackerel dips with crudités. Some prawns, salmon, haddock, lemon sole and plaice. 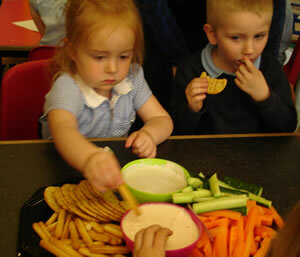 All of the children had a taste and when asked they scored most of the things they tried 10/10! We had such a brilliant time and the kids seemed to really enjoy it! Hopefully they learned something and will take the information away with them. It would be lovely if they continue with their new found love for seafood! We went to St Peters school to celebrate ‘Food revolution day’ and what a fantastic time we had! We worked with a very enthusiastic class of 30 year 2 children, between the ages of 6 and 7 and the feedback we received from the children was amazing. First Janet sat with the children and gave a presentation about healthy eating, the food groups and how seafood can be beneficial to the way their body works. The pupils then went and worked out which of the ingredients they would like to use in their recipe from the seafood and vegetables we brought for them. 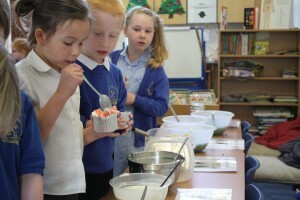 The kids loved getting involved and putting together their recipes. Some of the kids chose Salmon whilst others preferred prawns, they all made sure they topped up their bakes and pies with lots of scrummy vegetables! Whilst we worked with a handful of children at a time, the other children took part in ‘fishy’ activities, quizzes and games and had a great time learning more about how fish are caught and the sustainable fishing methods used by the fishermen. 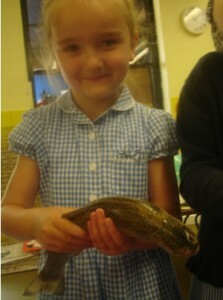 We also answered questions about the different species of fish. For some of the kids it’s the first time they have prepared their own meal so it was all very exciting! We had an amazing time at Castledyke school in Barton today. We were given a class of 30 year 6 pupils to work with and they had some brilliant ideas and comments. 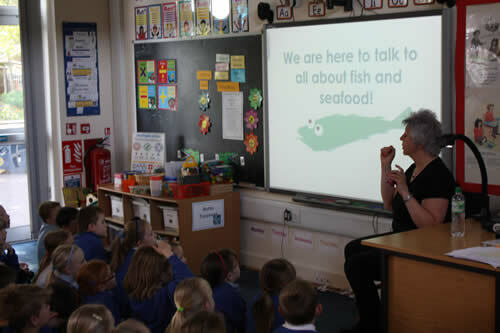 Janet gives the children a brief presentation on healthy eating, the food groups and the benefits of including seafood. 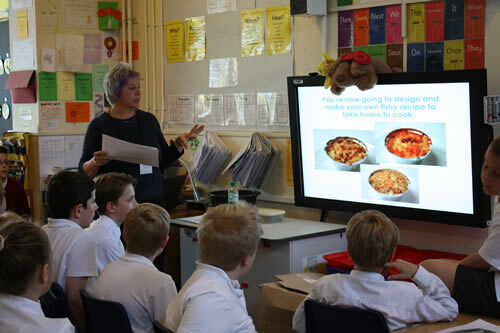 Once Janet had given her presentation, the kids were given a huge list of ingredients to work with and they sat and worked out a recipe. They then had the opportunity to put together their fish bake. 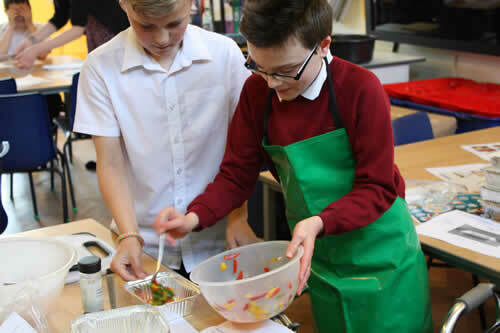 Some of the year 6 pupils putting together their fish bakes. 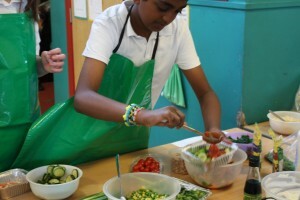 The children had an extensive list of vegetables to choose from and they did a brilliant job of working out what went together and what herbs and spices would compliment them. They also chose which type of seafood they would like in their dish and although some of them hadn’t tasted some of the types, they were keen to embrace it. We were so pleased with how the day went. The kids learnt a great deal about the types of foods they should be eating and they didn’t shy away from the healthy foods and trying new foods too. 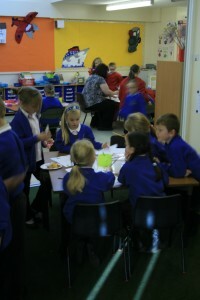 Making healthy choices.. all the children were keen to pack their bakes with nutritious vegetables and healthy seafood. 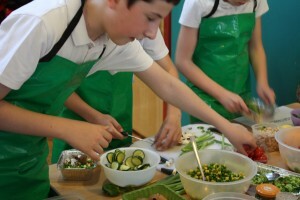 Jamie Oliver is on a mission to get kids in the kitchen cooking up a storm! Basically the idea is that you sign up and get your children involved with the preparation of their own meals, its as simple as that! We at Regal are passionate about involving children in the preparation of their own meals as well as encouraging them to eat healthy, nutritious meals, using fresh ingredients and we will be helping Jamie Oliver on his mission to get 1 million people signed up and helping to get kids excited about food. You may have seen our work in the press or if you follow us on Facebook, Twitter or the posts on our blog. We have been involved in various schools and nurseries and running ‘learn to love fish’ programmes where we have helped to educate the children on the importance of a healthy diet and how including seafood may benefit them. 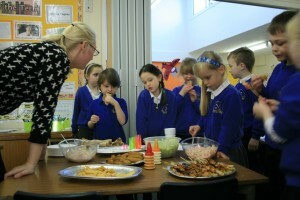 They have been involved in seafood tasting sessions and actually prepared their own meals including ‘fishy pizzas’. 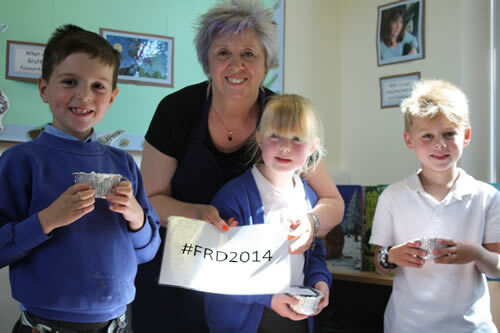 We will be back out in force on May 16th for the #FRD2014 armed with fresh fish and veggies to create tasty fish pies for the children to enjoy. 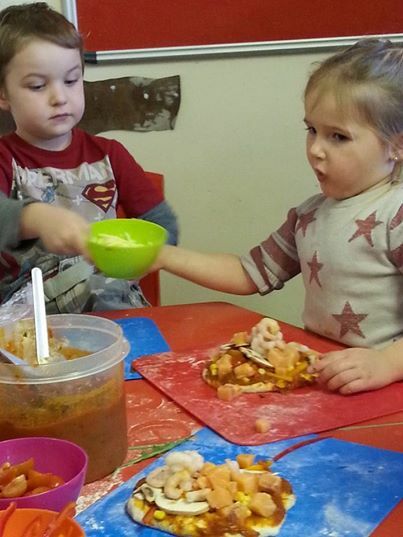 We are hoping to get as many of our customers as possible involved and get their ‘kids in the kitchen’. For more info see Jamie’s website www.foodrevolutionday.com and get signed up please use the #FRD2014 on your posts and tag us so we can share your pictures. We can’t wait to see what everyone’s creating. 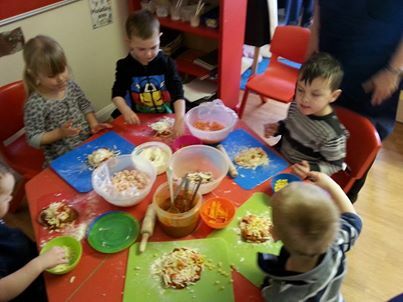 We started off with a group of 3 year olds, some pizza dough,chopped veg and pizza sauce and a load of prawns and salmon! We ended up with a lot of mess but some marvellous pizzas and 12 very happy children! 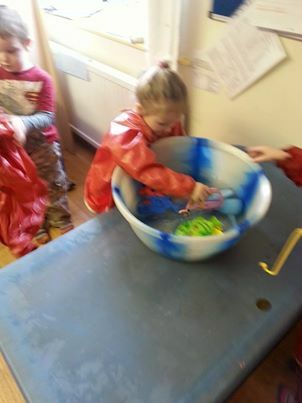 We decided to visit some of the schools and nurseries in our area so that we could get an idea of what children enjoy and the types of fish they have tasted as well as their reaction to things they haven’t tasted before. Most of the children hadn’t tasted prawns and some hadn’t had salmon either, their responses were all very positive and the pizzas were polished off! They even did a spot of fishing! We had a fantastic time today at a local school, our ‘learn to love fish’ workshop went down really well with the year 2’s and all of them tried at least one thing they hadn’t before! Here we are taking a look at what delights they were on offer. Amongst which were haddock, mackerel, smoked salmon pate, lemon sole, fresh salmon kebabs and prawns. 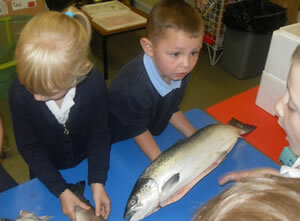 They had a great time learning about the different types of fish and shellfish and an even better time tasting it! After the tasting we did some crafts and quizzes and the children played a fishy board game. But some of them just couldn’t resist a nibble in-between! We gained lots of knowledge from our newly crowned fish fanatics at St Peters today and hopefully all 25 will continue to enjoy seafood at home and will get mum and dad eating fish too!